Who is really behind the Gaza flotilla? This morning I did a search for “Turkey” from within Fars News online (Iranian news site). The results beg the question, Who is doing what with the Gaza Flotilla? Notice the date on the following article. FYI, Turkey is working closely with Iran to further Iran’s nuclear ambitions. There are quite a lot of Fars News articles on that. TEHRAN (FNA)- Iranian First Vice-President Mohammad Reza Rahimi hailed the brotherly ties between Tehran and Ankara, stressing that the ground is ready for a stride in the expansion of the two countries’ joint cooperation. “The Islamic Republic of Iran pursues expansion of ties and joint cooperation with Turkey in a brotherly and full-scale manner,” Rahimi said on Monday in a meeting with Turkish Ambassador to Tehran Umit Yardim. He … reiterated that Iran and Turkey should strive to promote their cooperation as fast as possible, cautioning that paused movement on this course would lead to the delayed attainment of the desired results(emphasis added). Rahimi also pointed to the Tehran-Ankara agreement on increasing the volume of trade exchanges to $30bln…. In March, Iranian and Turkish officials signed a Memorandum of Understanding (MoU) to expand mutual cooperation in different industrial fields, specially in textile, auto-manufacturing and power industries. Photo: Israel commandos board boat in pro-Palestinian flotilla. Israeli forces have attacked a flotilla of aid-carrying ships aiming to break the country’s siege on Gaza. At least 19 people were killed and dozens injured when troops intercepted the convoy of ships dubbed the Freedom Flotilla early on Monday, Israeli radio reported. The Israeli military said four soldiers had been wounded and claimed troops opened fire after “demonstrators onboard attacked the IDF Naval personnel with live fire and light weaponry including knives and clubs”. Condemnation has been quick to pour in after the Israeli action. Mahmoud Abbas, the Palestinian president, officially declared a three-day state of mourning over Monday’s deaths. Turkey, Spain, Greece, Denmark and Sweden have all summoned the Israeli ambassador’s in their respective countries to protest against the deadly assault. Thousands of Turkish protesters tried to storm the Israeli consulate in Istanbul soon after the news of the operation broke. The protesters shouted “Damn Israel” as police blocked them. Israel braces for Turkish, Hizballah, Hamas reprisals. Greece halts joint drill. Debkafile’s military sources report Israeli concerns that Turkey may not confine itself to strong diplomatic retaliation for the Israel Navy’s seizure Monday, May 31, of the Marmora, the Turkish vessel leading the flotilla for breaking the Gaza blockade and resort to military action along with the Iranian-backed Hizballah and Hamas. A statement from Ankara threatened “unprecedented and incalculable” reprisals, following which the Turkish chief of staff Gen. Ilker Basbug was recalled urgently to Ankara from a visit to Egypt. Greece has since halted its joint exercise with Israel in protest against the naval action. Debkafile reports from Ankara that the Turkish government is planning to continue pounding the Israeli blockade with more flotillas and have them escorted by Turkish warships and fighter jets. Israel merchant vessels moored outside Ashdod port have been instructed to sail into port and take shelter in case of missile attacks from the Gaza Strip against Ashdod and Ashkelon. Monday morning, Israeli warplanes headed west over the Mediterranean in support of the still ongoing Israeli commando operation aboard the Turkish Marmora, the scene of violent clashes between Israeli troops and the 600 “peace activists,” some of them armed. Ankara later reported 15 dead aboard the vessel. 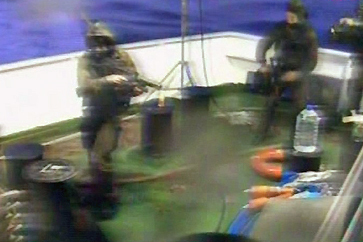 Israeli army spokesman, Col. Avi Beneyahu, called the incident “an act of terror on the high seas.” Far from being a humanitarian mission, the flotilla was sponsored personally by Turkish prime minister Recep Erdogan to break the Israeli blockade on Gaza and permit arms supplies and terrorist to reach the Strip unrestricted. It aimed at provoking a widely publicized international incident with fatalities and showing Israel using strong-arm tactics against unarmed peace-lovers. Its leaders and the nations involved therefore refused to heed warnings that the vessels would be prevented from entering Gaza Port and rejected Israeli offers to ferry their aid cargo overland to the Gaza Strip. Population within missile range of Gaza advised to take shelter in secured areas. The pro-Hamas passengers were described as mobbing the Israeli commandos as they were dropped onto the Marmara’s deck, using knives and iron bars to beat them and shooting with a sidearm snatched from a soldier and at least two other pistols recovered empty from two of the bodies. Israeli security forces are preparing for the Lebanese Hizballah and Palestinian Hamas to go back to shooting missiles and rockets against Israeli towns, in support of the seaborne attack on Israeli commandos. The police are also on special alert in and around Israeli Arab communities, after Hamas prime minister Ismail Haniyah called them out on a general strike, and the Holy Places, especially in Jerusalem. Egypt will face pressure to end its joint embargo on Gaza with Israel at the Arab League Council meeting urgently Tuesday, June 1. Palestinian leader Mahmoud Abbas demanded the session. Demonstrations against Israel were staged in Syrian and Lebanese towns. Jordan hands stiff complaint to head of Israeli diplomatic mission in Amman. Thousands of people have been forced to flee their homes as two volcanos erupted in Guatemala and Ecuador. 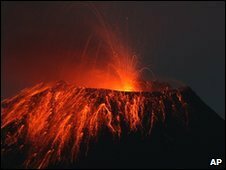 In Guatemala, the Pacaya volcano began spewing lava, rocks and debris on Thursday (24 May 2010), killing at least two people and injuring more than 50 others. 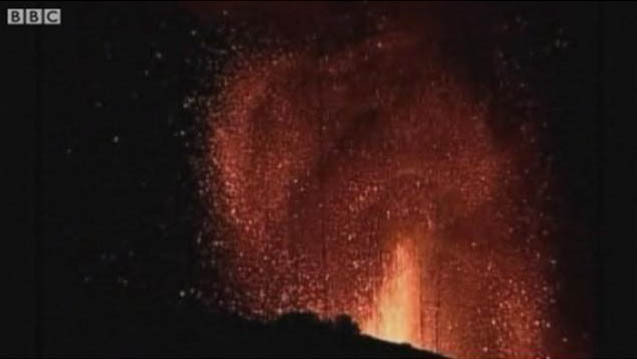 At least 1,700 people have fled the eruption, some 30km (19 miles) south of the capital city. In Ecuador, the Tungurahua volcano forced the evacuation of seven villages and shut the airport and schools in Guayaquil, the country’s largest city. There is no suggestion the upsurge in volcanic activity is related. President Alvaro Colom has declared a state of emergency in Escuintla region, Guatemala City and areas surrounding the capital. He said two people had died and three children were missing. One man was killed when he fell from a building while sweeping up the ash. A TV reporter also died while covering the eruption. The volcano has covered parts of Guatemala City in ash – up to 7cm (2.7in) thick in some areas – forcing the closure of the country’s main international airport. Seismologists have warned of more eruptions “in the coming days” from Pacaya – one of the most active volcanos in Central America. In Ecuador, the Tungurahua volcano sent ash plumes six miles (10km) into the air. Several thousand people have evacuated their homes in the area, 95 miles (150km) south-east of the capital Quito. Strong winds blew the ash over the country’s most populous city, Guayaquil, and forced aviation officials to close the country’s main airport. There were reports that the ash cloud was dissipating as it drifted out over the Pacific Ocean. By then (July-August), the Pentagon plans to have at least 4 or 5 US aircraft carriers visible from Iranian shores. Debkafile’s military sources report a decision by the Obama administration to boost US military strength in the Mediterranean and Persian Gulf regions in the short term with an extra air and naval strike forces and 6,000 Marine and sea combatants. Carrier Strike Group 10, headed by the USS Harry S. Truman aircraft carrier, sails out of the US Navy base at Norfolk, Virginia Friday, May 21. On arrival, it will raise the number of US carriers off Iranian shores to two. Up until now, President Barack Obama kept just one aircraft carrier stationed off the coast of Iran, the USS Dwight D. Eisenhower in the Arabian Sea, in pursuit of his policy of diplomatic engagement with Tehran. For the first time, too, the US force opposite Iran will be joined by a German warship, the frigate FGS Hessen, operating under American command. It is also the first time that Obama, since taking office 14 months ago, is sending military reinforcements to the Persian Gulf. Our military sources have learned that the USS Truman is just the first element of the new buildup of US resources around Iran. It will take place over the next three months, reaching peak level in late July and early August. By then, the Pentagon plans to have at least 4 or 5 US aircraft carriers visible from Iranian shores. Another four US warships will be making their way to the region to join the USS Truman and its Strike Group. They are the guided-missile cruiser USS Normandy and guided missile destroyers USS Winston S. Churchill, USS Oscar Austin and USS Ross. Debkafile’s military sources disclose that the 6,000 Marines and sailors aboard the Truman Strike Group come from four months of extensive and thorough training to prepare them for anticipated missions in the Persian Gulf and the Mediterranean. I know more about that question and answer now than I ever wanted to know. And I know how the color of the sky changes from place to place, time to time. 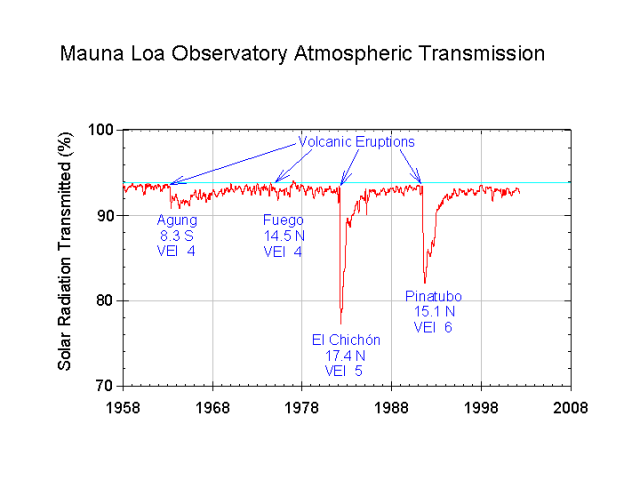 Since my last post about geologic changes coming, I have spent a lot of time online doing research and reading about the geology of our planet, including the levels of air surrounding it. If I was younger, I might sign up for a university class or two, just to understand better how everything interacts. 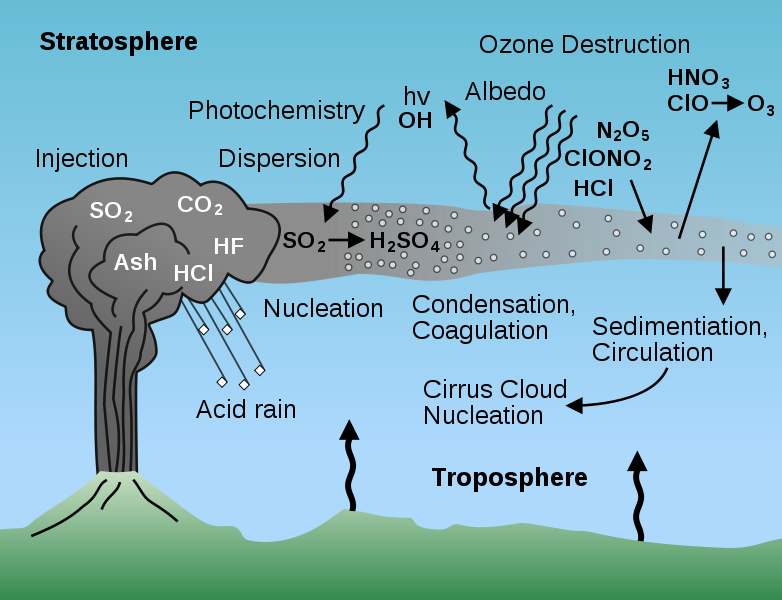 Can volcanic emissions (ash and other chemicals) change the sky color? Yes. Sky color is affected by the chemical composition of the air, the particles in it and their chemical composition, as well as their size and number. These things can be changed dramatically by natural and man-made disasters, from volcanic eruptions to nuclear blasts. Even oil spills affect air “quality,” although usually on a local scale. Global dimming occurs when there is a decrease in the amount of solar radiation – sunlight – reaching the earth’s surface because of interference from chemicals / particles in the air that should not be there. The results? They range from frightening, to terrifying, to devastating, to catastrophic. The ecologic systems of the planet can be disrupted. I think I know why the Lord told me to watch for geologic changes coming in the earth, although that might take a little more effort when it comes to sky color. He wants me to take his watch and warn assignment seriously. Some disasters give mankind little or no warning, despite the best efforts of scientists worldwide. That being true, we would all be better off to heed God’s warnings. 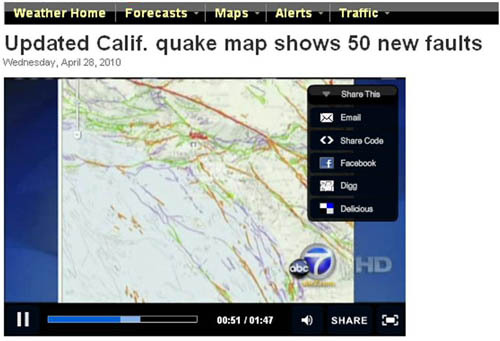 There will be increased geologic changes in the earth in the days ahead, the Lord informed me as I drove along with the radio off on Sunday, May 9, 2010. What does that mean? I asked. Here’s what he told me. New “cracks” (i.e. 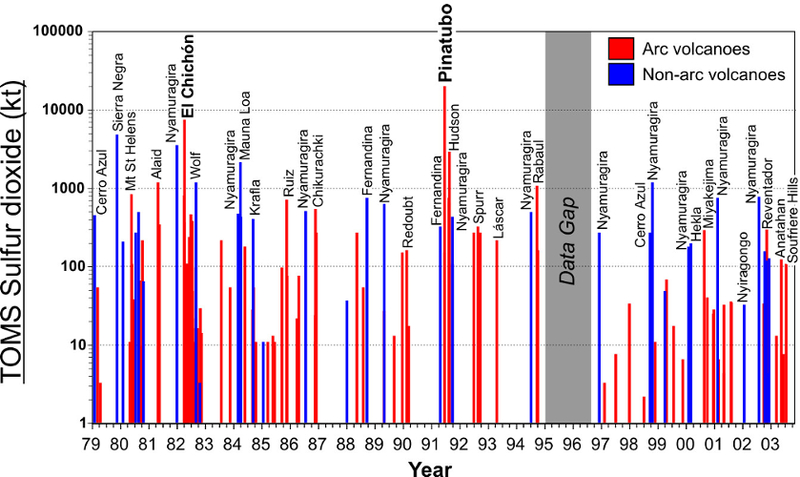 earthquake faults) are developing at increasing rates, which will result in increased small earthquakes. These let off pressure, decreasing the occurrence of larger, catastrophic quakes. Watch for news of these. Other types of changes will also be coming. A subtle change in the color of the sky will occur, gradually and in varied locations, as the chemical composition of air changes. This won’t be great enough to be harmful or dangerous. Most people will never even notice, it will be so gradual and spotty. But you watch. So, I started watching for those things. PASADENA, Calif. (KABC) — For the first time in 16 years, California earthquake experts have released an updated seismic map that shows 50 new earthquake faults across the state. Seismologists at Caltech say there are dozens more that we really should be aware of, and the new map highlights the newly discovered fault lines that they have found in the last 20 years. The map uses color shading to better show the paths of fault lines. The new faults are spread across the region and include some along Santa Monica Bay and the Orange County coast. The fault line that stands out on the map is the one that led to the 7.1-magnitude Hector Mine earthquake in 1999. That quake didn’t do much damage because it occurred in the desert area. Seismologists say the year 2010 is shaping up to have significantly more quakes greater than 4.0 than any other year in the last decade. Many residents fear a repeat of the deadly Northridge quake 16 years. The release of the map comes amid a number of new quakes in recent months. Residents in the Mexicali area are still dealing with aftershocks from the 7.2-magnitude earthquake. There are 15,000 fault lines in California, but many of them are fairly short, with no evidence that they’ve caused sizeable quakes. A newfound earthquake fault in Arkansas could eventually be the site of a major earthquake that would rock much of the south and east, according to news reports. A major gas pipeline is said to be near the fault and at risk. The alarm bell is similar to many sounded in recent years. In August, scientists said the New York City area is at “substantially greater” risk of earthquakes than previously thought. The Indian Point nuclear power plants, 24 miles north of the city, sits astride the previously unidentified intersection of two active seismic zones, the researchers noted. In general, geologists warn that large earthquakes are rare East of the Rocky Mountains, but they do occur and are bound to prove devastating. The threats are real, but the timing is impossible to predict. The newfound (Arkansas) fault is about 100 miles east of Little Rock, according to The Associated Press. It is separate from the New Madrid fault that caused a series of devastating earthquakes in 1811 and 1812, all centered in Mississippi Valley. The Caspian Sea is the setting for some of the world’s oldest offshore oil developments. These date to the late 1940s in Azerbaijan, when the Pirallahi, Gurgany Deniz, and Chilov Adasy fields were brought onstream. Azerbaijan remained a prominent offshore producer through the 1950s and, for a while, the Neft Dashlary field took on the mantle of the world’s biggest offshore project. Despite this early success, over the next 40 years Azeri exploration and production failed to extend much beyond the shallow water Absheron Peninsula area. The priorities of the Soviet state shifted onshore to reserves in the West Siberian basin, and the indigenous industry lacked the technology, experience, and inclination to invest in the known giant reserves of the deeper water Caspian. Fast-forward to the collapse of the Soviet Union in the early 1990s, when the Caspian was restored to its place of prominence in the international offshore industry. The newly independent states of Azerbaijan, Kazakhstan, and Turkmenistan sought partnerships with international oil companies to develop their natural resources and to provide much-needed revenue for the bankrupt, fledgling states. Now, less than 20 years later, the Caspian offshore is one of the world’s most important sources of oil and gas production growth. In 2010, offshore production is expected to top 1.5 MMboe/d, with plans in place to reach 3 MMboe/d by 2020. Three giant offshore fields – Azeri-Chirag-Guneshli (ACG), Shah Deniz, and Kashagan – account for the majority of oil and gas investment, and about two-thirds of remaining reserves. ACG and Shah Deniz are providing steadily increasing revenues to the Azeri state and its international partners, while critical new regional infrastructure has been installed in the form of the Baku-Tbilisi-Ceyhan and South Caucasus pipelines. In Kazakhstan, the Kashagan field is expected to export its first oil in 2013, with construction of a major new export pipeline anticipated for full field development. These new pipelines will unlock reserves in the giant fields while acting as a catalyst for myriad smaller projects which will be ready for development over the next two decades. The giant ACG field contributes over 1% of global oil supply. It was discovered in 1979, although the production sharing agreement (PSA) was only signed in 1994, with first production three years later. The development comprises five fixed platforms, a large processing facility onshore with oil exported through the 1 MMb/d, Baku-Tbilisi-Ceyhan pipeline. Production has increased steadily since 2005, and is approaching its plateau level of around 1 MMb/d. Subsea tiebacks are installed in the deeper water parts of the Guneshli field, and are the first examples of this technology in the Caspian Sea. The project partners are BP (34.14% and operator), Chevron (10.28%), INPEX (10%), SOCAR (10%), Statoil (8.56%), ExxonMobil (8%), TPAO (6.75%), Devon Energy (5.63%), Itochu (3.92%), and Hess Corp. (2.72%). Reserves of around 5.4 Bbbl of oil should be produced within the contract period. A further billion barrels of reserves could be added with development of the Balakhany reservoirs, and by enhanced recovery from existing pay zones. Gas from the giant Shah Deniz gas-condensate field is exported to Georgia and Turkey, and ultimately could reach the European market. The field was discovered in 1999 and began production in 2006 from a jackup platform. Well output has averaged 175 MMcf/d. The project partners are BP (25.5%), Statoil (25.5%), LUKoil (10%), National Iranian Oil Co. (10%), SOCAR (10%), Total (10%), and TPAO (9%). The project is jointly operated by BP and Statoil. BP is responsibile for the operations while Statoil manages the commercial aspects of Phase 1 contracts. The field has commercial reserves of over 22 tcf of gas, although only 6.6 tcf is contracted under the first development phase. The operator plans a second phase, which is yet to be sanctioned, to involve construction of an additional platform and subsea facilities to recover of another 10-15 tcf. Gas from the second phase is hotly sought after by a number of competing pipeline projects vying to supply the European market. The super-giant Kashagan field, largest in the Caspian, is huge even in global terms, with an estimated 13 Bbbl of oil reserves. Its development is proving to be one of the world’s largest and most complex engineering projects. It was discovered in 2000 and is part of the North Caspian Sea PSA. The first development phase is under way, and production is expected to begin in 2013. The field is expected to produce 1.5 MMb/d at plateau, around 10 years after first oil, although these later phases have to be sanctioned by the partners and government, and are subject to huge uncertainties over timing and cost. The partners are Eni (16.81%), ExxonMobil (16.81%), KazMunaiGas (16.81%), Shell (16.81%), Total (16.81%), ConocoPhillips (8.4%), and INPEX (7.56%). The project operator is North Caspian Operating Co. (NCOC). It is responsible for general management but some of the individual partners have specific roles. Eni is responsible for Phase 1 development until first oil. Thereafter, Shell will have the offshore operations role for Phase 1 and the offshore development role in further phases. As of Jan. 1, 2010, BP has the most valuable upstream portfolio (amongst international companies) in the Caspian offshore sector due to its stakes in ACG and Shah Deniz. ExxonMobil and Total occupy second and third position, although neither has a major operated project, while the main Kashagan partners occupy positions two through six. For comparison, the cumulative remaining value (NPV10) to the four littoral states amounts to $280 billion – a factor of 20 greater than BP. LUKoil ranks highest in terms of remaining reserves, due to its stakes in Severnyi block, Khvalynskoye, and Shah Deniz. This contrasts to its eighth place in value terms – a contrast which reflects the early stage of the Severnyi development (with major expenditures still to come), its liability for Russian oil export duty, and the large proportion of gas reserves. The main Kashagan partners also rank highly, along with BP and SOCAR.